Qualitrol rounds out its transformer monitoring platform, leaving DA solutions in flux. After nine years as a private company, BPL Global was quietly acquired by Qualitrol nearly two weeks ago, according to BPL Global investor NES Partners. The acquisition provides Qualitrol with a market leader in the transformer dissolved gas analysis market, as well as a group of distribution automation products. It also leaves the market with questions yet to be answered on the fate of three of BPL Global’s product lines, as well as core partnerships with Siemens. As with Qualitrol's acquisition of Neoptix, a provider of fiber-optic temperature sensors, there has been no press release or formal announcement on the BPL Global acquisition, just the addition of “a Qualitrol Company” to the bottom of BPL’s logo. BPL Global underwent a massive overhaul and repositioning in 2008, shifting out of the moribund broadband-over-powerline business and into distribution automation. The company's rebirth as a DA and demand response company came out of a frantic series of 2008 acquisitions which included Serveron (multi-gas and comprehensive DGA monitors), Connected Energy (demand response and distribution energy resource management system provider) and Plan B Solutions (substation automation). These acquisitions provided BPL with a pretty eclectic group of solutions that spanned from home energy management to step-up transformer monitoring technology. But despite the wide breadth of solutions, Serveron seemingly continued to be BPL Global’s cash cow. The Serveron brand secured contracts with a variety of U.S. utilities, with Arizona Public Service (APS) as a marquee customer. 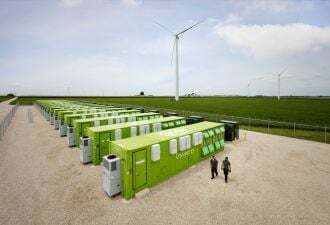 Other customers include South Korea’s national utility, Korean Electric Power Company (KEPCO), China's massive state-owned utility State Grid of China Corp., European utility E.ON, Britain’s Scottish Power, and Italy’s Terna. Under the strength of Serveron and BPL’s other acquisitions, the company increased its revenues by 55 percent in 2010 to reach roughly $50 million. Earlier this year, BPL turned its focus back to the U.S. licensing of APS' Transformer Oil Analysis System (TOANS), GTM Research’s pick for most advanced DGA software in the market, which is included as part of its TM View platform. BPL also added OptiSense, a Texas-based optical medium-voltage grid voltage and current monitoring provider, and startup medium-voltage grid monitor vendor Grid Sentry, to its official Grid Management partner list, which already included legacy partner PowerSense. The acquisition brings Qualitrol into the spotlight in the DA space and solidifies a transformer monitoring platform that spans the breadth of advanced sensors. The edition of TM View with TOANS will drastically improve DGA analysis and will likely be incorporated into Qualitrol’s SMARTSUB Substation Condition Monitoring platform. This will provide a much-needed boost to strengthen the platform as it competes with ABB/Ventyx’s Asset Health Center, S&C Electric Co./Doble Engineering’s DobleARMS, and SAP’s Grid Infrastructure Analytics. The acquisition raises questions as to what happens to the DERMS, Grid Management, and Demand Management solutions within the BPL portfolio, however. 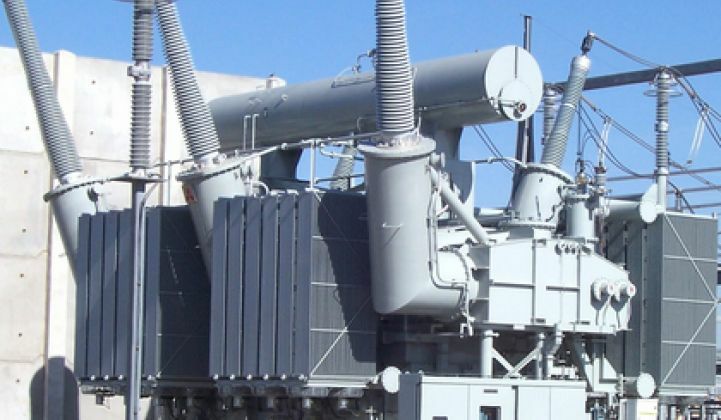 Unlike the transformer monitoring, and to a lesser extent ,the substation automation, these product lines do not integrate as seamlessly with Qualitrol’s existing solution set and core competencies, laying open the question of whether Qualitrol may seek outside buyers for those business lines. Pure speculation puts Siemens in the spotlight for at least the DERMS platforms, as it has the existing partnerships to integrate this platform with Siemens' Spectrum Power DMS. The addition of the Grid Management platform to the conversation would not be surprising either. Following the sale of Osram and the disbanding of Siemens PV and public EV charging infrastructure units, the addition of the DERMS and/or grid management platform could represent a smart way to fortify Siemens' Infrastructure and Cities Sector’s most profitable group, Power Grid Solutions and Products.